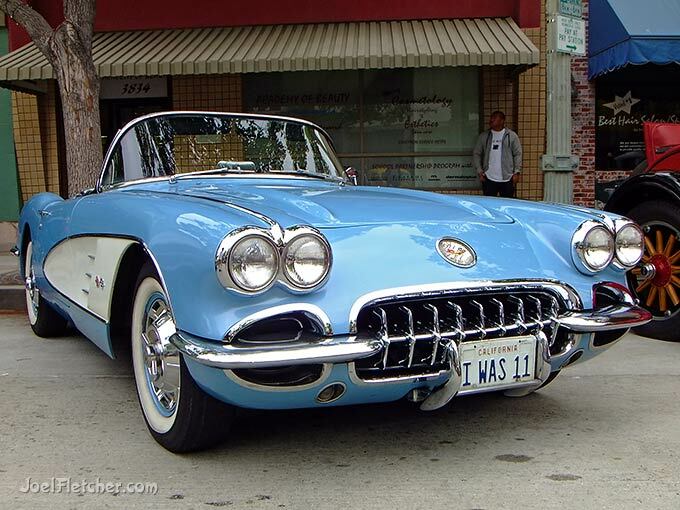 Behold this first generation vintage Corvette, an example of superb mid-century automotive styling! I am uncertain of the specific year it was manufactured, since the 1958-1960 models looked almost exactly the same. The vehicle was on display at the 2011 Culver City Car Show.